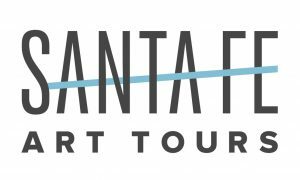 Santa Fe Art Tours was established to provide engaging, interactive tours of art galleries and museums in Santa Fe, New Mexico. It has re-energized the museum and gallery-going experience with tours that invite you to look at art in a new way while whisking you through Santa Fe’s charming neighborhoods, hidden courtyards, off-the-beaten path art venues, and landmark museums and galleries. Each of their walking tours covers a different arts district in Santa Fe and highlights a unique theme or focus. These tours move beyond learning theory and museum education methodology to create informative and memorable experiences that are also fun, welcoming, and relaxed. Santa Fe Art Tours prides themselves on creating intimate, personal, and interactive experiences with art. No spiels, no crowds. Just truly audience-oriented experiences. Santa Fe Art Tours is a division of Sight Projects, LLC.